Welcome to a new feature on EverydayMTB.com. Today I’ll give you a sneak peek at some of the products you’ll see reviewed on the site soon! Consider this an ultra fast unboxing video of some of the stuff we’ll be checking out! If you want to check out any of the products right away, use the links below. These flat pedals will be replacing my Imrider pedals that bit the dust. They feature and all metal construction, 5 year warranty and a very large platform. I’ve never been a big water bottle user, but I had a hunch that might be partially due to using bad water bottles. I’m giving this higher quality water bottle a try. It feature a unique locking valve and flow system. To go along with that new Camelbak Podium Water Bottle I’m trying out a side loading water bottle cage that will (hopefully) fit in my Stumpjumper front triangle. More hydration experimentation here. I’ve always relied on water and energy bars. I’ve heard of some people using this instead. We’ll see! My knees have taken a number of nasty hits this past year. As I’ve been pushing my riding my body has been taking a beating. I decided it was time to finally protect another part of my body other than my nogen. I’ll be trying these out on my more aggressive rides. I live in frigid Wisconsin. That doesn’t mean I stop biking in the winter though. 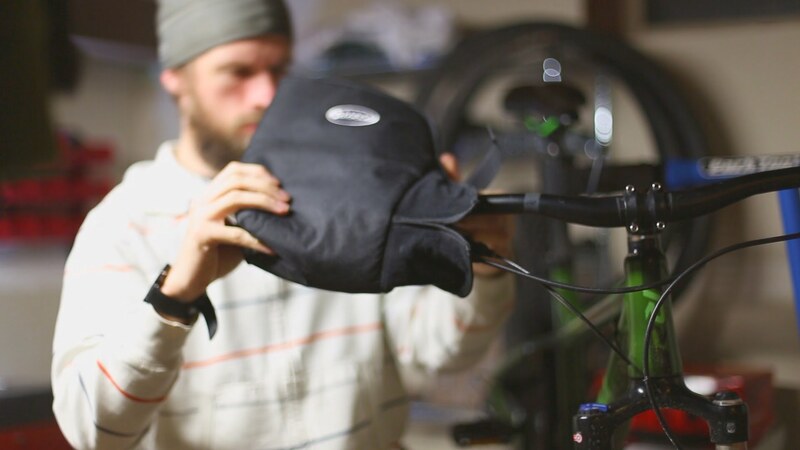 Barmitts or Pogies are often seen as a big investment only for dedicated riders. These mitts bring that monetary barrier of entry way, way down. We’ll see if they are up to the task of tackling Wisconsin winters. Wisconsin winters also mean lots of night riding. I’m upping my lumen count with this Light and Motion light. I’m curious to see if the extra lumens and weight are worth it.